CCHA Law - Can my Employees Record our Conversations? Can my Employees Record our Conversations? The Scenario: You call Eli Employee into a meeting to discuss his poor performance. As you begin the meeting Eli asks if he can electronically record the conversation. What can your answer legally be? Employers face increasing instances of employees asking to record conversations in the workplace or worse, secretly record conversations without notifying anyone. The proliferation of small recording devices and smartphones has made it easier than ever to electronically record conversations. Indiana statute defines illegal recordings. Under Indiana law only one party to the conversation needs to consent to the recording. The person doing the recording can provide the necessary consent if part of the conversation. This usually means the other party to the conversation has no idea they are being recorded. Conversely, it is a crime under Indiana statute to record a conversation without the consent of at least one party. IC 35-33.5-5-5. Despite Indiana law; employees do not have a right to record conversations in the workplace. Based on the status of the law, you have several options when it comes to responding to an employee’s request to record a conversation. You can deny the request or you can allow the recording of the conversation. 1. Whistleblower Status – If a violation of work safety is involved. 2. Discrimination – If the employee is part of an ongoing discrimination investigation, such as an EEOC investigation. 3. National Labor Relations Act – You may not prevent employees from partaking in concerted activity. 4. First Amendment – Especially for public entities. Best practice is to adopt a policy that clearly prohibits the recording of workplace conversations. A policy provides clear notice to the employees and provides grounds for discipline if it is violated. If you choose to allow the recording, benefits may include showing that you have nothing to hide and allowing the manager to conduct the meeting with the knowledge that it is being recorded. If you do permit the employee to record the conversation, it is always a good idea for the employer to record the conversation simultaneously. Finally, whether you permit the employee to record the conversation or not, remember that the employee may still be secretly recording the conversation legally. Ultimately, serving as a reminder that employers should always act professionally towards their employees. For more information about this topic contact us. 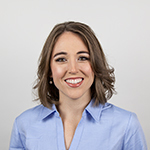 To learn more about Jessica and her practice, please visit her profile.